It’s my favorite month of the year, which, of course, is because it’s my birthday! July 24th also happens to be National Tequila Day and I’m always happy to celebrate that. This year, Suerte Tequilla sent me a selection of their spirits. Anyone who reads my stories and social media regularly knows that I prefer my spirits (and wine) not oaked, so I went for the Blanco first. 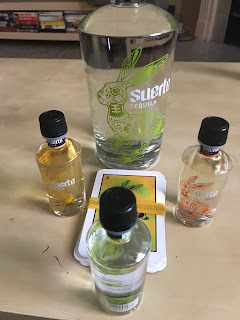 Suerte Tequila Blanco does not disappoint. It’s very smooth and has that touch of honey sweetness you get when the agave is allowed to shine. The award-winning Reposado was also very good, with notes of butterscotch and vanilla, but no heavy oak. For those who do like their tequila aged, you’ll find the Anejo from Suerte a good option, with a more powerful presence. 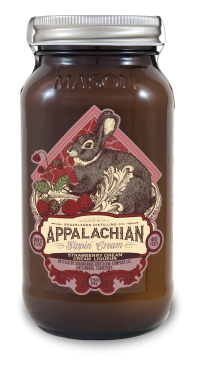 I tried Sugarlands Distilling Company Appalachian Sippin’ Cream in Pumpkin Spice Latte last year and loved it. It was just as good as I remembered and this time it came with some new flavors from the spirits brand. The Eggnog Appalachian Sippin’ Cream is really good. I thought it tasted a lot like Rumchata. I also liked the Creamy Kahlua, which wasn’t quite as strong as the others, though it also has 20% alcohol. Both are especially good in coffee. I’m allergic to strawberry so I had to rely on some friends to taste that one. They said it tasted very natural, with real strawberry flavor highlighting the creamy drink. She started our day with some delicious Plaintain Pancakes with Peanut Butter Honey Topping. 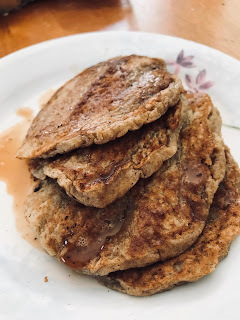 They were made with the Pereg Plaintain Flour and another product I received recently, Comvita Manuka Honey (which is also delicious as a daily sweetener in tea and other products).